What is Scotch? 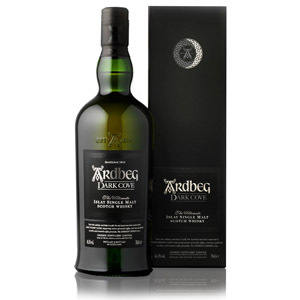 – Scotch is any whisky made in the country of Scotland, which has been aged for at least three years in oak barrels. The SWA Definition, for more info. Single-malt scotch is scotch that has been distilled from only malted barley at a single distillery. When the “new-make” spirits exits the stills, it is clear and tastes something like vodka. It is the aging in oak barrels that gives whisky its distinctive color and the majority of its flavor. 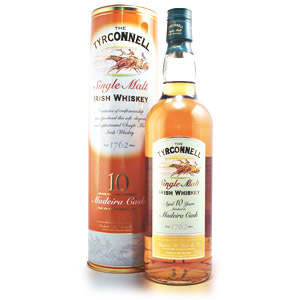 Blended scotch is a mixture which contains some quantity of malt whisky (often from several different distilleries) and some quantity of grain whisky, which is whisky distilled from cereal grains other than malted barley. The following applies to any type of whisky – or really, any type of quality alcohol that deserves to be ‘tasted’ instead of ‘shot’. Step One: Pouring – Choose a glass that tapers at the top, like a wine glass, ‘tulip’ glass, or brandy snifter. These are among the best [Affiliate Link]. Pour at least 1 ounce (or one shot-glass full: about 1.5 ounces) of scotch into the glass. Swirl it gently, like a glass of wine, to release some volatile vapors and also to see how viscous it is. Step Two: Nosing – Some say that most of the pleasure in tasting whisky is actually in the smelling of it. There are hundreds of thousands of volatile compounds present in whisky, and many of them can only be detected by our olfactory senses. Position your nose about one inch above the rim of the glass and tilt the glass slightly towards yourself. Carefully draw air into your nose – if you start to feel a “prickle” or “burn” in your nostrils, pull the glass back a little. If you don’t smell much, try sticking your nose further into the glass, or tilting the liquid closer. Concentrate on the smells and try to pick out individual aromas or ‘notes’. Spend at least a minute adjusting the position of the glass and your nose to draw out all of the aromas. Occasionally give the glass a swirl to release more of those volatile compounds. Step Three: Tasting – For your first taste, just sip a small amount of whisky – only enough to cover the surface of your tongue. Now this is important: Hold the whisky in your mouth for at least 10 seconds! Count in your head if you need to. If you’re not used to straight spirits, this will definitely ‘burn’ on your tongue, and make your eyes water. Stick with it. After several seconds you should notice the burn abates, and you should begin to taste the sweetness of the whisky. Swirl it around your mouth, making sure to cover all of the surface of your tongue. Again, try pick out individual flavors. Now you can swallow it. Step Four: Finish – If you held the whisky in your mouth for at least 10 seconds, you should notice that it goes down ‘smooth’ – without burning your throat. Even expensive single-malt will ‘burn’ your throat if you sip and swallow immediately. Open your mouth and breathe slowly out. Notice the flavors that remain on your tongue, gums, and the walls of your mouth. This is called the ‘finish’, and can last anywhere from a few seconds to several hours. Now breathe gently in, and notice that some of the volatile aromas can be ‘tasted’ on the finish. Step Five: Variations – Now that you know how to smell and taste whisky, experiment! See this post on adding water to your whisky to open up new flavors. Also, try holding a slightly larger sip of whisky in your mouth, tilt your head back a little, and breathe (VERY) gently in through your mouth. This takes a little practice to avoid choking, but can illuminate more of the hard-to-identify flavors by aerating them. Try different glasses to see how the aroma varies. Above all, enjoy! I appreciate the guide. I’m just starting my whisky adventures and have been hearing the terms repeated over different sites, blogs and podcasts and never fully grasped the proper “technique”. I’m also glad to see the glasses you listed are the exact ones I ordered last week. I’ve been using round glasses and never could really get the aromas from nosing. Thanks again! I’ve found that using a glencairn or snifter glass really has made a huge difference in how I perceive a whiskey. I did a side by side of the same whiskey in a rocks glass versus a snifter glass, and it was like night and day. The whiskey in a snifter glass was like a completely different animal than it was in a rocks glass. It definitely proved to me how much your olfactory senses play a part in tasting something. You don’t need to pay top money for glassware either, just go grab a glass from Cost Plus for $3.00 and give it a try like I did. Glassware makes all the difference. I only had shot glasses until a friend of mine brought over his two Glencairn ‘Canadian’ glasses (they’re Glencairn Widebottom glasses with a maple leaf etched into the bottom). The difference was phenomenal. I’ve since acquired my own, and there are still limited numbers available at some LCBO outlets across Ontario – $4.95 per glass, or a six-pack for $19.95 (prices are in Canadian dollars), which is a steal given that I’ve seen sets of four advertised elsewhere online for $49.95! This is an excellent post for beginners! I wish I had read something along these lines when I started. It’s easier when you have a mentor of sorts to show you how things should be done. As someone who has been intrigued by Scotch, and I’ll admit not much of a straight liquor drinker, I have been trying to decide on a Johnnie Walker label to try. Some say that Gold is a good one for beginners and has less burn. Any suggestions? Thanks for the great post! I am just getting into whiskey and have been looking for some specific directions on the mechanics of drinking. I can’t wait to try out these methods. Great post, I have just posted a article on Johnnie Walker blended scotches, Check out the notes on the Green, Gold and Blue on my blog at http://www.AskADane.com. I like your suggestions on trying different ways and glasses to taste the scotch, it is so important to try different things and new experiences. Ice covers the flavors of the scotch itself allowing only a small portion of them to be recognized and enjoyed. If a drink has to be cold to enjoy it then it’s not a very good drink. I will admit to my ignorance here… But how do you notice so many individual flavors? Tasting as you’ve advised certainly enhances my enjoyment but I seem to be a gestalt sort of drinker. I notice the whiskey as a whole but can’t put my finger on each flavor. Is that a learned skill? My recommendation is not to try to “learn” to taste individual flavors, but rather try to grade your experiences based on – as you said – gestalt. There isn’t really any inherent value in determining that one whisky tastes like vanilla while another one tastes like figs. Being able to determine how one whisky makes you FEEL versus another is far more valuable, especially where it helps you find favorites. I, personally, would probably be a happier scotch drinker if I had been able to try 50 whiskies, find 5 favorites, and stop… but that’s just not my personality. Hope that helps. Cheers! Picking out flavor notes is every skill in the world, to some people it seems to come naturally, for others, it takes more practice. A few tips: make sure you can clearly smell what you’re trying to taste, if you can’t smell it, you’ll barely taste it. Make sure the food or drink is room temp or a bit warmer (again, so you can really taste it). And try different herbs/spices/etc on their own, and really try to get them know them, so you’ll be able to find them easier when they’re mixed in with other stuff. And try to ignore all your other senses to really focus on what you taste. At first, a quiet room with your eyes closed can really help. Flavors are almost like sounds- it’s like being in a loud room, and trying to listen to one voice, by trying to ignore or filter out the other sounds. Whiskey is very complex, there are lots of flavors, some are very strong or loud, and kind of drown out the others. It’s a tasting challenge. For practice, you might want to start with other foods, that have fewer flavors going on, and ones you are already familiar with (it’s hard to find peat flavor if you don’t what it tastes like). Eat a slice of apple pie, and while it is on your tongue, try to find the sweet Apple, then look for spicy cinnamon, and possibly the brightness of lemon juice, the savory of the browned crust edges. Try to pick out the cherry notes in a cherry coke. Try a cup of chai tea, and see if you Can pick out the spices that are labelled in the ingredients list. Sample some pasta sauce, and see if you can guess which herbs the chef used. You’ll eventually get there, just keep tasting things, and paying attention to what you taste, and you’ll slowly start noticing things you never noticed before. Next thing you know, you’ll be a scotch tasting expert in no time! Oh, I almost forgot the most important tip of all- enjoy the journey, don’t get so caught up in trying to find the flavors that you forget to enjoy them. It would be cool to have a scotch tasting with little samples of ingredients. I’ve never had sherry or port before so I bought some and it helped me understand glenmorangie better. What is your take on whiskey stones, i went and bought a set of Teroforma stones. However i dont think it cools down my scotch (yes i did put them in the freezer). I was wondering what is your take on them? I have not personally used whisky stones, but the concept is to cool down the spirit without diluting it with water. This is something you’d only want to do if the flavor of your whisky is too strong and you want to reduce the flavor (much like my ice cream example, above). However, sometimes when it’s hot outside and you want a cooling or refreshing drink, it makes sense to trade a little flavor for a little chill. Personally, I use ice in those situations, since a little melted ice can turn a straight whisky into something like a cocktail, with new aromatic compounds released via the water, and a larger-than-normal dilution making the dram easier and quicker to drink. When I’m in the mood for that kind of drink, though, I usually turn to blended scotch or inexpensive malts (like Bank Note or Glenlivet 12), to avoid paying for quality that I’m not really tasting. My guess is that stone, while it holds on to thermal differences much longer than other materials, never really gets cold enough to cool your drink as much as ice does (or, rather, doesn’t engage in heat transfer as quickly as ice does). Try freezing them overnight, or adding more stones (or less liquid), or letting them sit in the drink for longer. My friends and I enjoy scotch so much that I decided to include a tasting at my wedding reception. We have a flight of 4 different scotches and I was wondering about the glasses. We are using the Glencairn glasses and since it is a catered event, I have to rent them. I am wondering if I will need to have 1 glass for each scotch per person. In other words, since I have a 4 flight, if I have 25 people doing the tasting, do I really need to have 100 glasses? Any other recommendations for a proper tasting event? Hi Dave, First, congratulations! This is a good question. For a truly “proper” tasting, the sherry copita glass is generally considered ‘best’ for nosing whisky. I think Glencairns are better for everyday drinking and enjoyment of whisky at home or in social situations because of their shape, stability, resistance to breakage, and they’re relatively easy to find in stores. Sherry copitas seem to be somewhat rare in the US – at least I’ve never seen them in glassware sections at liquor stores. However, you really don’t HAVE to use any particular glass for a tasting. Unless you’re entertaining professional whisky reviewers, the goal is more to share your enjoyment of the spirit and show off some good whisky to people who might not have tried it before. For that purpose, wine glasses serve just fine. My whisky tasting group meets in a room at a restaurant, and we use the restaurant’s wine glasses (mostly so we don’t have to buy, bring, or wash 50 Glencairns). As long as the glasses you use are curved (“tulip” shape or similar) and not straight-sided (like a rocks glass, tumbler, or highball), you should be all set. Try it yourself – pour equal amounts of peated or sherried whisky (something with a lot of aroma) into a Glencairn and a white wine glass. Nose and taste them, compare. There might be a slight difference in strength of aroma, but they should be close enough. Cheers! To answer your other question (1 glass or 4) it’s up to you. I, personally, enjoy comparing different samples to each other while tasting… that wouldn’t be possible with 1 glass. Also, at tastings often some people take their time, and might still have whisky in their glass when the bottle comes around for the next pour. That can get messy. Thirdly, anyone familiar with whisky tasting might wish to rinse our their glass (with water) between pours, unless the whiskies are either similar enough (like a vertical tasting) to not contaminate each other, or robust enough in sequence (blend to light malt to sherried to peated, for example) to completely “overwrite” the previous pour. I would personally bite the bullet and use 4 small white wine glasses per person. I am 30 and for last 10 yrs of my spirit consumption, I never enjoyed scotch or any whisky for that matter. Somehow I always ended up trying it on the rocks. Recently for some weird reason I decided to try one specific single malt scotch neat on a friends suggestion. It changed the way I looked at Scotch. Since then I have tried 5-6 different good scotches neat and have enjoyed all of them. So for others like me scared of trying neat scotch, dont hesitate, try it neat! It is altogether a different experience. I have been drinking scotch for some twenty years…I always drink mine cold and with sweet tea. maduro cigars are a nice touch…I only let them breath when it’s something I’ve never had before and I want to experience the full aroma or I’m at the casino, regardless, sweet tea is the secret for me to enjoy any scotch or whiskey. I also like it with the jack select and single barrel. Holy Crap! Stronachie 12yr coming out of my nose after Step 5. I won’t try that technique again soon. I think I just did a (-1)year to my lifespan. ***Extra Caution*** with that one. Well, okay > I just tried it successfully and got more character from the peat and some nectarine vibes. I also don’t recommend Step Six: Cough Scotch all over your computer screen, whilst waking the baby and looking like an idiot. Good luck. Hi guys, So I just ordered a bottle of Glenmorangie 12 year old Nectar D’Òr. I have had the Glenmorangie brand scotch before and I really enjoyed it. I read a bunch of reviews on this particular bottle and they were all pretty good. What can anyone say about it if they have tried it before? Hi Ronie. 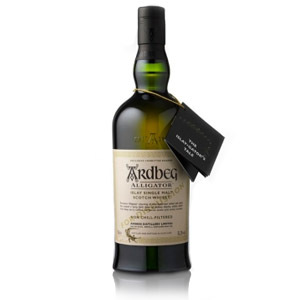 Nectar D’Or was one of the first scotches I reviewed on this site (//scotchnoob.com/2010/12/04/glenmorangie-nectar-dor/). It’s still one of my favorite single malts. Cheers! Good question. Because it releases new aroma compounds in the glass, which enhance it *before* it goes into your mouth. This is (likely) why the new flavors/aromas released by a little water are mostly detectable by the nose rather than the palate. I frankly find expensive whiskey akin to a womans vaginl liquors. Warm, musty and sweet. When I drink the cheap whiskey, it burns like a bad case of VD. Great posting. I can’t wait to apply these methods. Thanks for such a informative and fun to read information on scotchwhisky! Bear in mind that in tasting scotch, the flavor can be greatly altered by drinking straight, adding even as little as a drop of water (thereby “cracking” the scotch), or pouring over ice — “on the rocks”. I have a variety of scotches, some of which tasted rather ordinary until I cracked them, others which I drink on the rocks, others which I only drink straight. There’s no right or wrong, only personal preference. But it’s important to experiment, as I have a couple of bottles gifted to me which I was going to write off until I hit the correct way of drinking them. Now they’re amongst my favourites. Slainte! 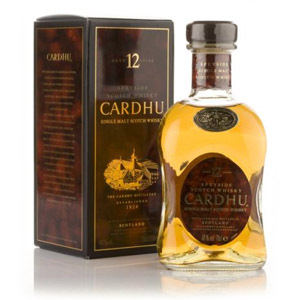 Is there a food that is recommended for between tastings of different scotches that would cleanse the palette so the next tasting isn’t influenced by the last, such as a mild cheese or cracker etc? Really, anything that does not linger on your palate itself works fine. As you said, mild cheeses and crackers, toast or any kind of bread, mild olives, non-spicy cured meats, rice or other grains, etc. You mostly want to avoid spicy things, highly acidic things, mouth-coating things (like milk), and highly sweet things (which will throw off your sense of sweetness). Personally, I use bread or plain seeded crackers. If I were hosting a tasting party, though, I’d go with more choices like the above. Cheers!